A credit score is defined as the “measure of credit risk calculated from a credit report using a standardized formula.” A number of factors can cause damage to a credit score. Examples of these include late payments, missed payments, too much debt, making only minimum payments, the absence of valid credit references and credit card use that is unfavorable and/or misused. You can think of your credit score as an evaluation or assessment of your financial health at any given period of time. It also is an indication of the risk that you represent to lenders whom you are looking to for the purposes of borrowing money, such as if you want to take out a personal loan, a car loan, a mortgage or if you want to apply for a credit card. Your credit score affects the credit rates that lender give you. It can be very stressful to apply for a mortgage and it is for most individuals the most expensive and biggest loan that they will ever apply for in their lifetime. Getting a mortgage that is within your price range and one that has reasonable interest rates is connected in with your credit score and rating. If your credit score is good then that bodes well for your mortgage interest rate. However if your credit score is not so good then this can play a big role in the interest rate you are given … and it will not be an interest rate that makes you very happy. Credit scores range between that of 350 and 900. The higher your score is the better it is for you when you apply for any type of loan, including a mortgage. 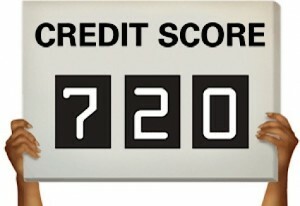 If you have excellent credit then your FICO score will be in the range of 760 to 850. In this case you will pay approximately about 5.780 percent in interest (or thereabouts) according to the interest rates in the year 2007. If your credit score falls in the range of 700 to 759 then the interest you will pay will be around 6.002 percent. If your score falls between 660 and 699 then you will pay an estimated 6.286 percent. The average FICO score is between 620 to 659. The percentage of interest to be paid in this case would be around 7.096. The lower your credit score is the higher the interest rate you will be charged because you present a greater risk to the lending institution than someone with a higher (and better) credit score. For instance a credit score that falls in the range of 580 to 619 is considered to be a fair credit score. The interest rate you will be charged on a mortgage would be around 8.583 percent. A credit score of 500 to 579 would make it such that you would pay an estimated 9.494 percent in interest. Those with a credit score below 500 are out of luck because the chance of being accepted for a mortgage is slim to none. In this case you need to bring up your score before you will be approved. The mortgage rate you are given by the bank is intimately tied in with the credit score you have. That is why making a dedicated effort to keep a good to excellent credit score and to maintain that score is so vital. The lower your credit score is the higher will be your interest rate. This could add up to thousands of dollars more over the course of your mortgage. Be smart and obtain a copy of your credit report well in advance of applying for a mortgage or any type of loan. If your score needs work then do the work and bring the number up before you apply for a loan. This could save you a great deal of money both now and in the future.